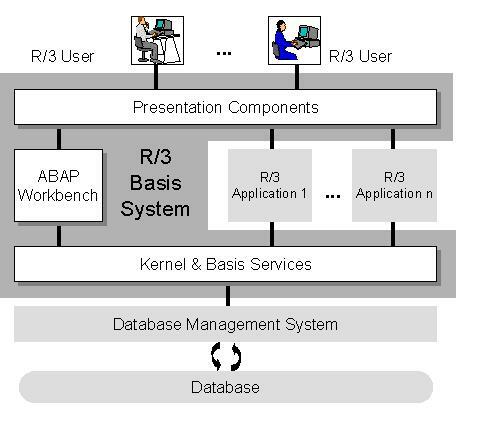 The ABAP Workbench is the integrated development environment available in SAP which allows for users to maintain ABAP objects such as Programs, Screens, Menus, Dictionary Objects (such as Tables, Views, Structures, etc. ), Messages, and other objects which aid in the development and enhancement of the SAP environment. The tight integration between the different components of the Workbench, the easy navigation provided within and between the different tools, the context-sensitive help provided to pull up information about any field, ABAP statement, Table, Structure etc. makes it probably one of the best Language environments available in the market. Provides tools that help you survey the objects in your system. You use the functions in this menu to locate objects by application, type, or development class. Application Hierarchy, Object Navigator (Repository Browser), Business Object Browser, Data Browser, Transport Organizer are some of the tools accessible from this menu. 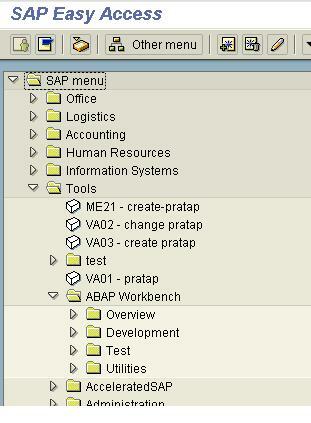 Contains tools that you use for creating SAP applications. The tools that appear in the toolbar also appear in this menu. Contains tools that let you test a completed program. Runtime Analysis, SQL Trace, Dump Analysis, Extended Check, and the Computer-Aided Test Tool (CATT) are some of the tools accessible from this menu. Contains tools related to but not directly required by the development process. Documentation Maintenance, Support Packages (SPAM), Upgrade Utilities, SAP Query, Enhancements (SMOD and CMOD) are some of the tools available in this menu. Note: In the SAP System, remember that the “System” and “Help” menus are always part of the Menu bar no matter where you navigate. Navigate back to abap tutorials. I need to refresh old skills.